SES S.A. and Astrium announced in December 2009 that SES has ordered four multi-mission satellites from Astrium to provide replacement as well as incremental capacity for its SES ASTRA and SES WORLD SKIES divisions. The new satellites, to be designated Astra 2E, Astra 2F, Astra 2G and Astra 5B, will allow the release of the existing satellites at two orbital positions (28.2 and 31.5 degrees East) and add new capacity as well as fleet deployment flexibility for the SES group over the coming years. The satellites are scheduled for launch in several steps between 2012 and 2014. The design life of each satellite is 15 years. The four new satellites will be built on a Eurostar-3000 platform. Three of the new spacecraft, Astra 2E, Astra 2F and Astra 2G, will serve to deliver next generation broadcast, VSAT and broadband services in Europe and Africa, and will carry Ku-and Ka-band payloads at 28.2 degrees East. The Ku-band capacity will allow SES ASTRA to enhance and secure its existing offering to major Direct-to-Home (DTH) markets in the UK and Ireland. With a Ku-band payload specifically designed to meet the requirements of some of Europe’s largest DTH broadcasters, the satellites will have spot beam and pan-European beam switching capabilities to accommodate both pay-TV and free-to-air broadcasters, and to provide these customers with increased functionality. The Ka-band payload will allow SES ASTRA to develop next generation broadband services in Europe, including its ASTRA2Connect product. Astra 2G features also a military Ka/X-band payload to preserve Luxembourg governments orbital slot rights, which expire in January 2015. Astra 2E, Astra 2F and Astra 2G will also include replacement and new capacity for the SES WORLD SKIES division, serving the African and the Middle Eastern markets with Ku-and Ka-band capacity. The new capacity will provide continuity of service and expansion opportunities for customers that are today already using the Astra 2B steerable beam over West Africa, as well as for new customers. 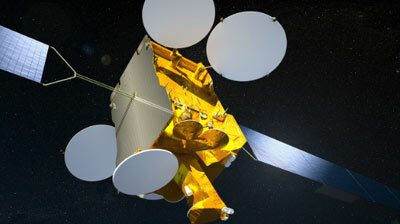 Eutelsat uses capacity on Astra 2E, Astra 2F and Astra 2G under the brand names Eutelsat 28E, 28F and 28G.